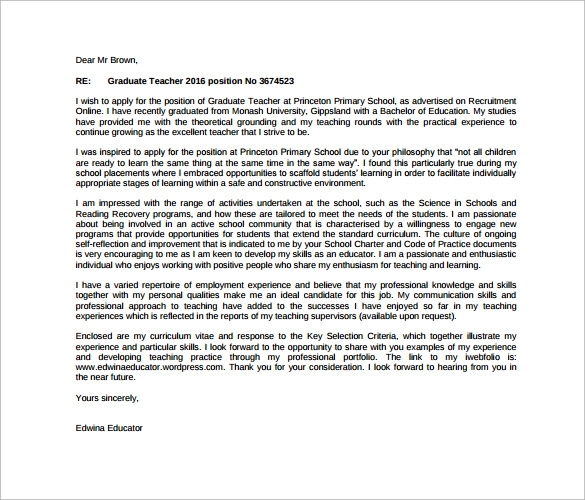 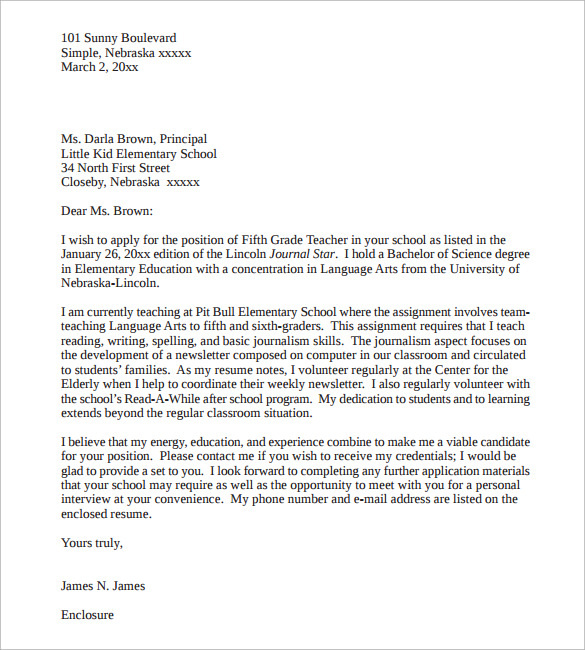 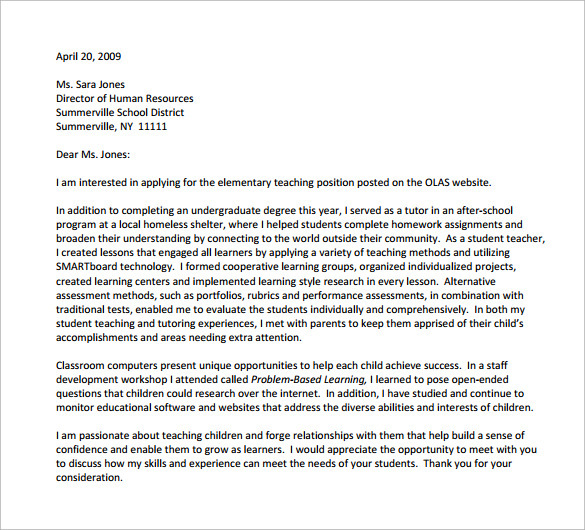 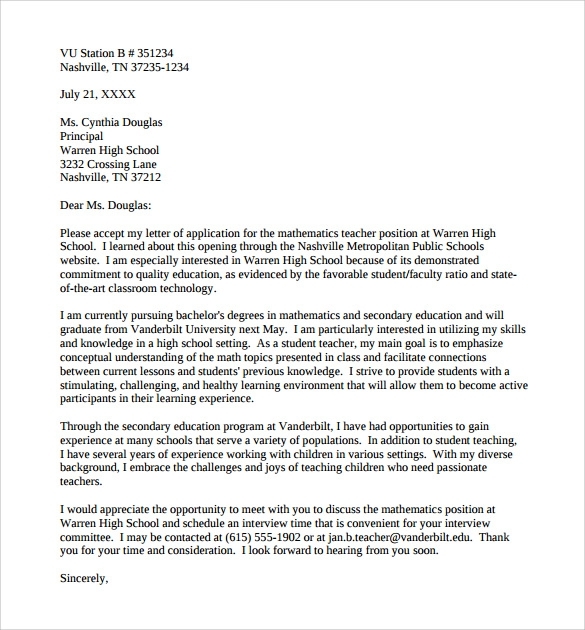 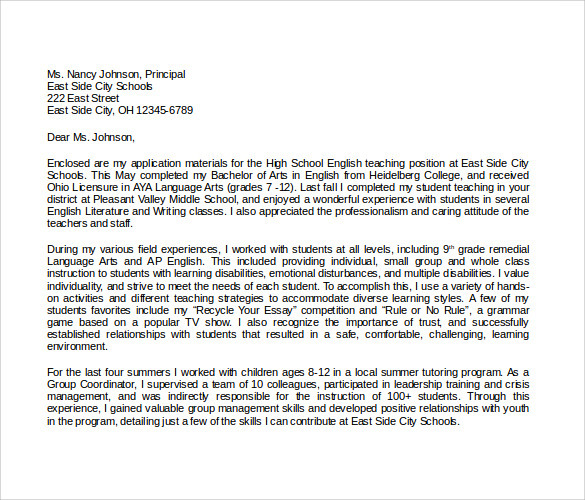 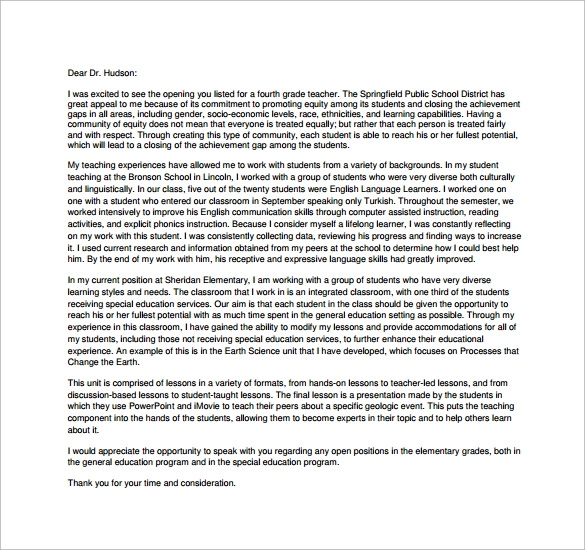 Teaching can change a generation through the power of words and to get hired in such position requires a compelling application with a cover letter. 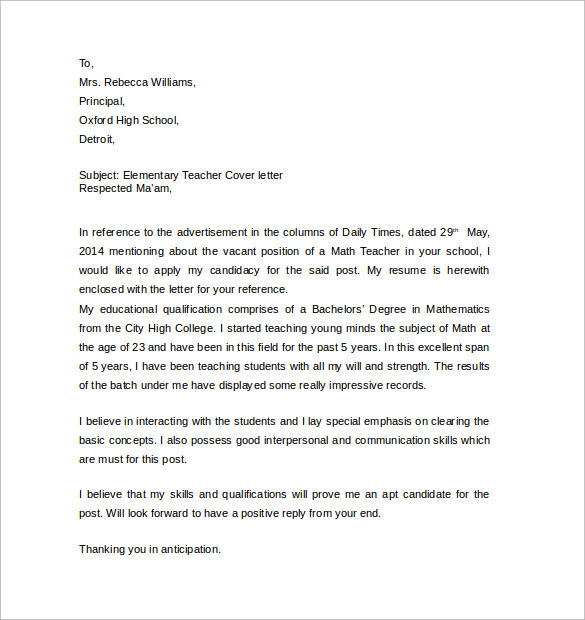 If you are wondering where you can find the right cover letter format so that time can be saved, then look no further as our sample teacher Job Cover Letter examples can easily fit for all kind of teaching jobs. 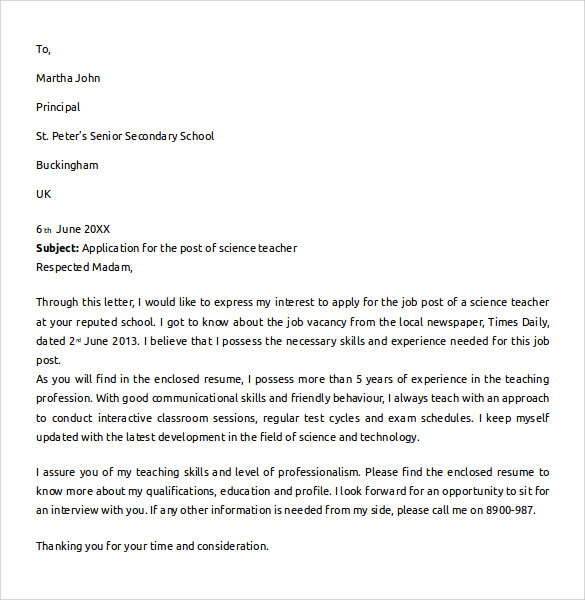 Use your creative genes as a teacher to fill the cover letter with wonderful words that will automatically grab attention. 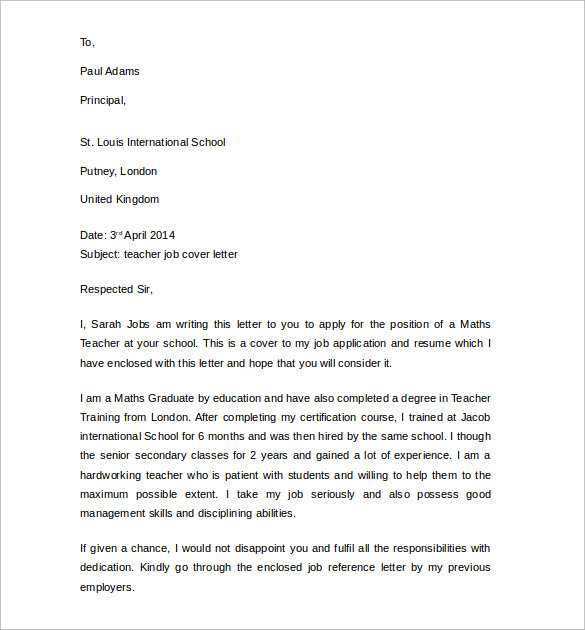 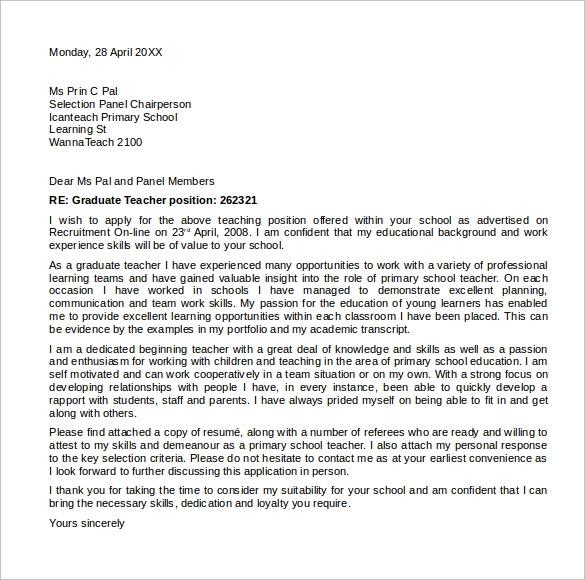 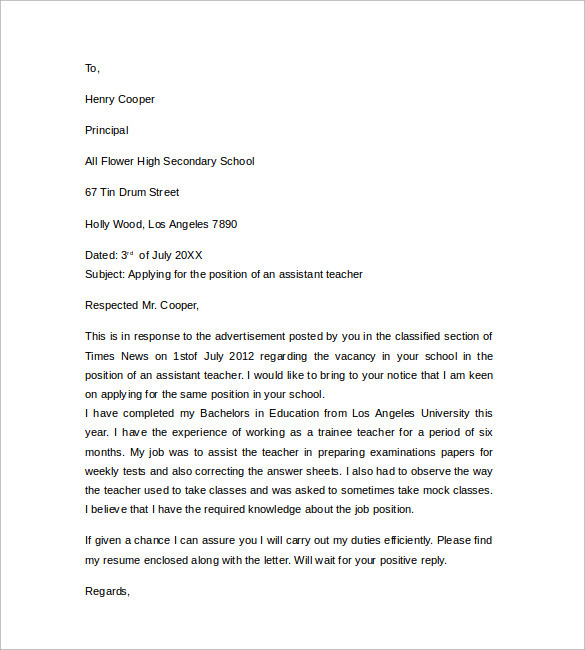 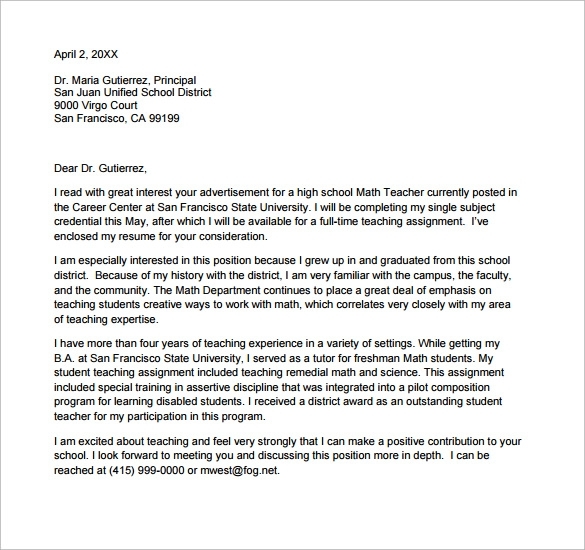 Further any cover letter from our sample teacher cover letter examples can be easily downloaded in MS word, PSD and PDF formats for your convenience.